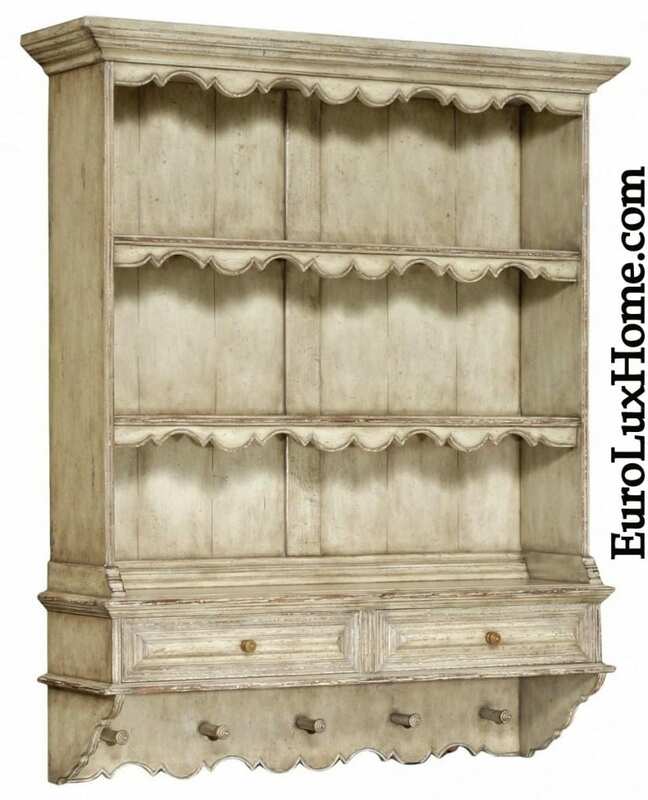 We have many antique-inspired pieces in our online furniture store that draw on the classic Regency style. 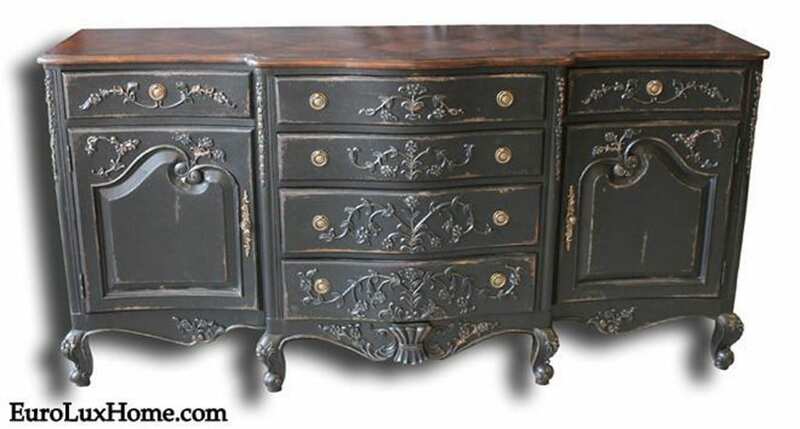 This new furniture is either based on actual antique Regency pieces, or it takes its design cues from the style. 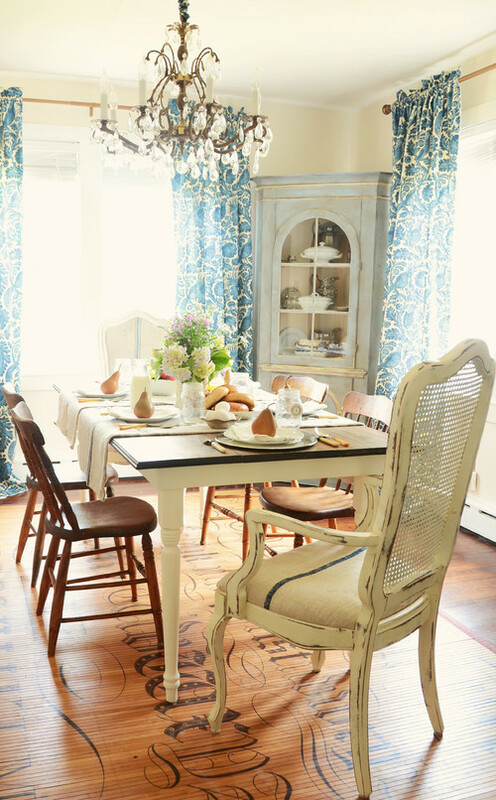 So what is Regency style? It is named for the time in England in the early 1800s when George IV served as Prince Regent. This meant that he ran the country on behalf of his father who was unfit to carry out his duties as king due to mental health issues. 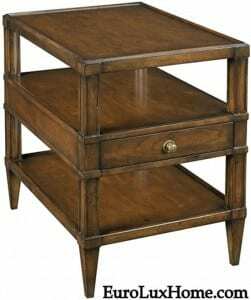 George IV became king himself later, but the name Regency style has stuck as a way to describe furniture crafted during this era. 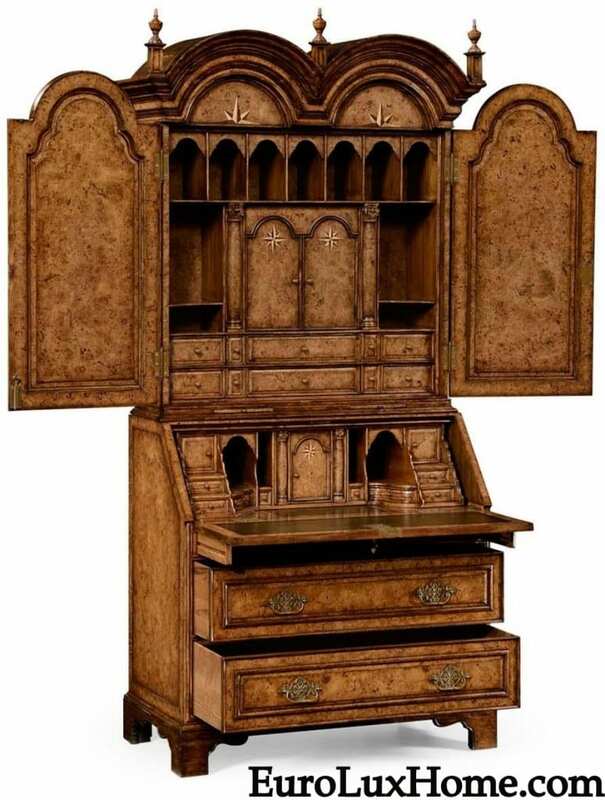 The furniture developed its look from Neoclassical Georgian furniture but it went even further with themes and motifs inspired by ancient Greek, Roman and Egyptian architecture and design. 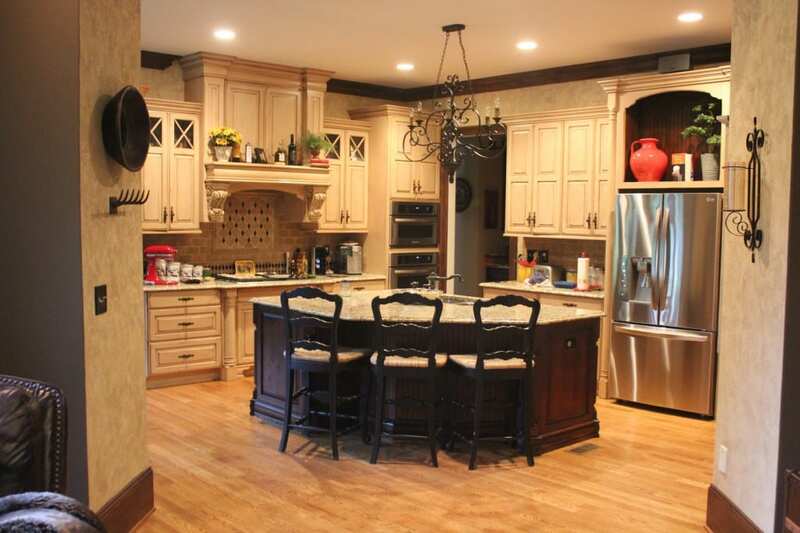 It has a majestic look, but it is not overly fussy. 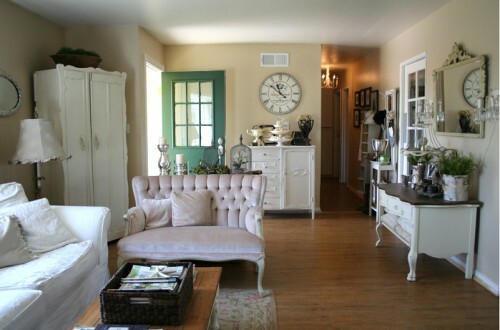 The furniture is generally large with a stately and monumental feel. 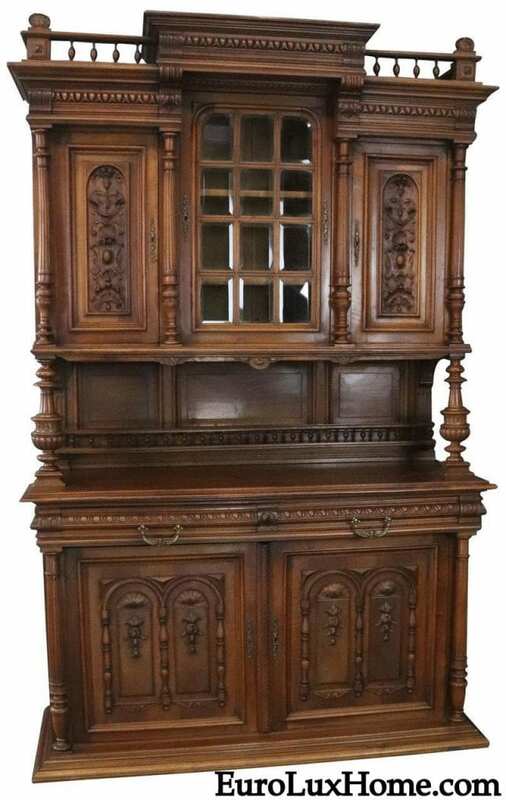 It is usually made in dark woods to add to the imposing effect, like this new Theodore Alexander Regency cabinet above, crafted with mahogany and satinwood veneers with brass moldings. 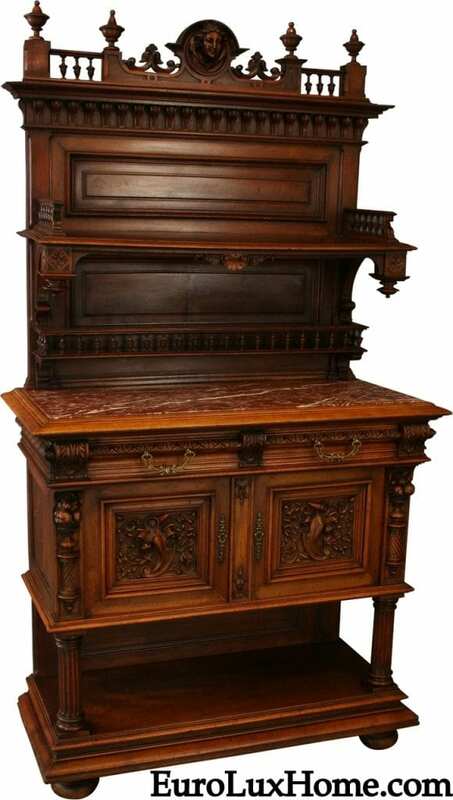 Mahogany was highly popular with furniture makers, and rosewood and zebrawood veneers also added impressive surface effects. 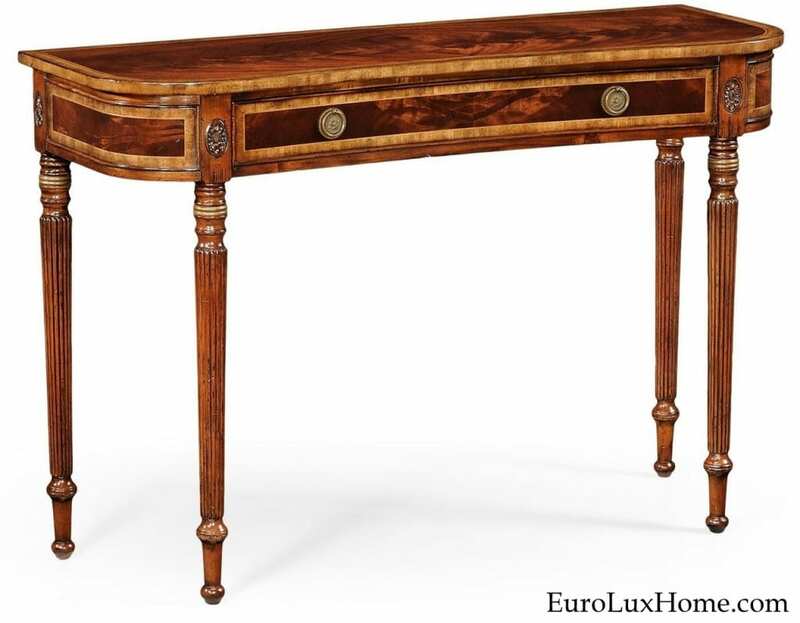 The new mahogany Jonathan Charles late Regency console table above shows how great mahogany can look, especially with classic banding. 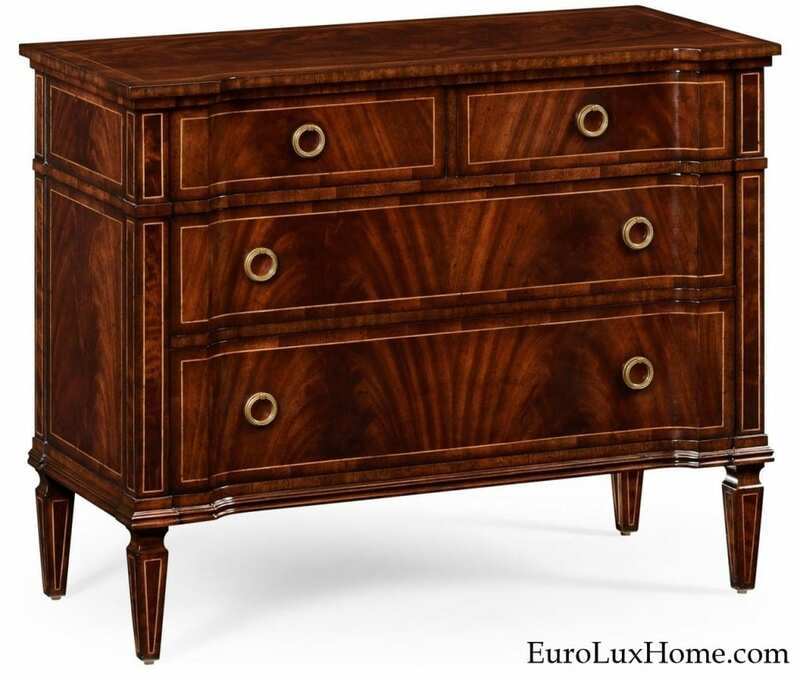 The new mahogany Jonathan Charles Regency style chest of drawers below is another example. 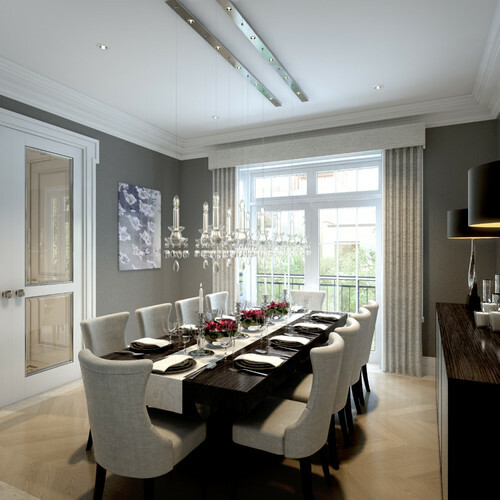 Although designed to impress, the furniture profile tended to be fairly streamlined with clean edges. 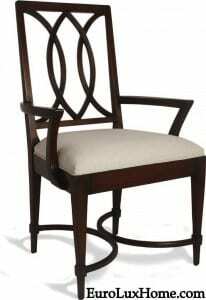 There were no frills, rather a more masculine approach of straight lines, crisp arches, and geometric shapes. 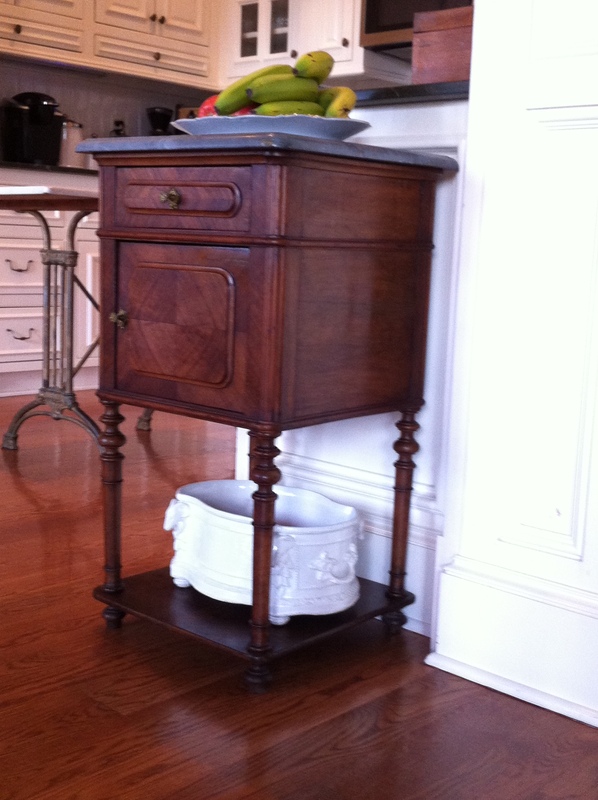 The clean-edged look was sometimes ornamented by brass ring handles. 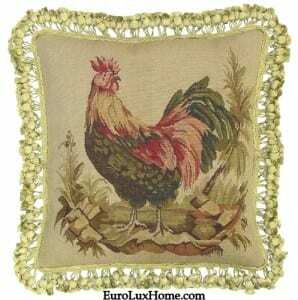 Other decorative motifs included classical symbols such as laurel wreathes, acanthus leaves, rosettes, masks, and mythological beasts including the Egyptian sphinx and griffins. The draping on this new Stanley Furniture Regency mirror with its gold and champagne silver leaf finish shows the regal pomp! 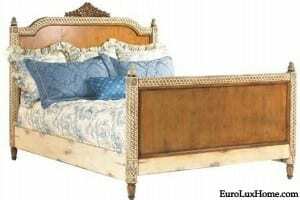 This style also featured ornate gold ormolu mounts and classical and military motifs. 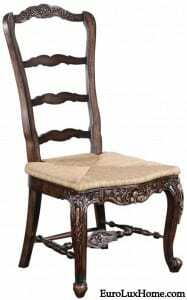 Brass accents and inlays were frequent decorations, and we also see metal paw feel on chairs and tables or claw and ball feet. 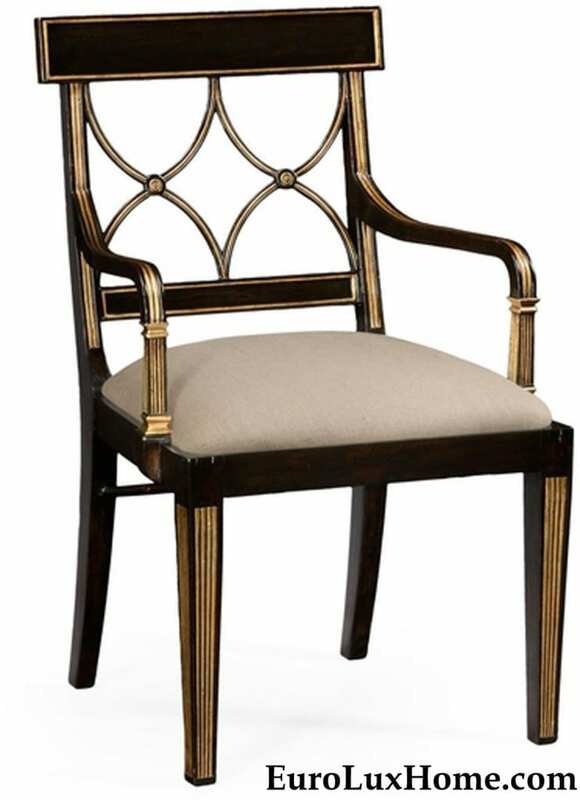 This new Jonathan Charles Regency style chair is a good example of how dramatic yet restrained the gilded look can be, especially against the chair’s ebonized black paint finish. 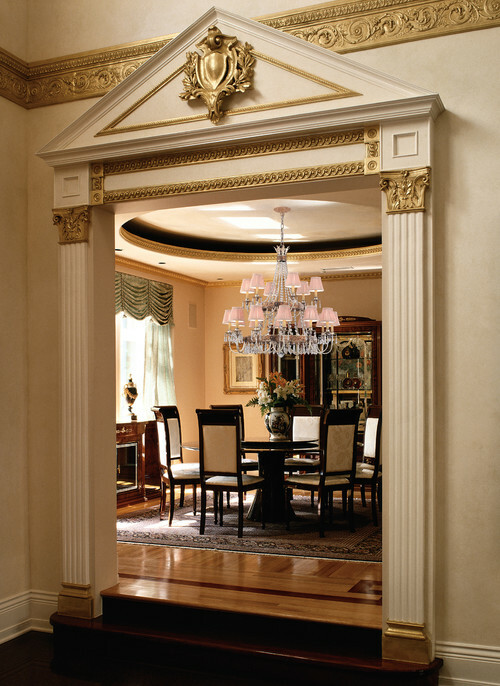 If you want gold in your space without it being too feminine, the Regency style is a great choice for you! 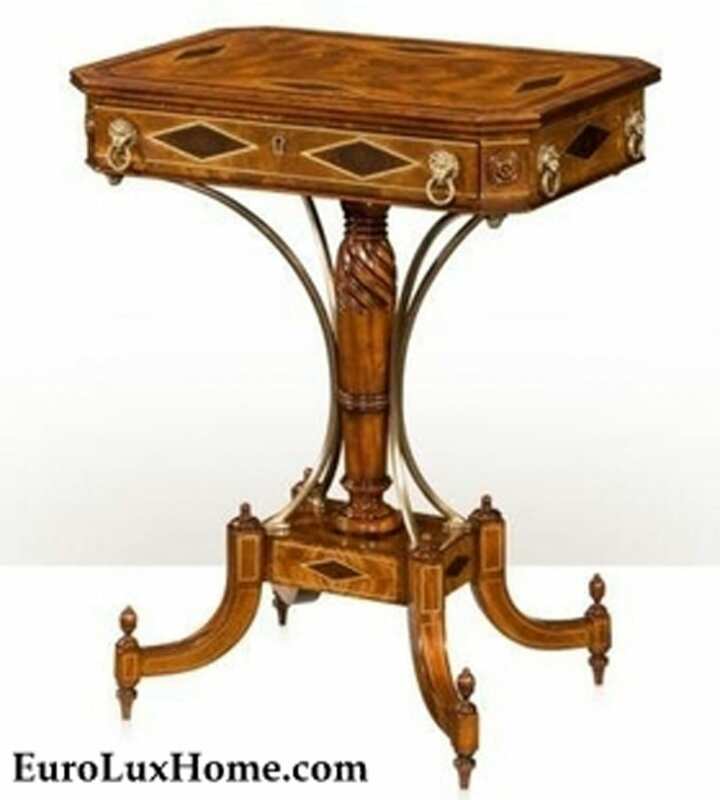 Brass ring handles sometimes featured lion heads to add to the sense of majesty, as in this new mahogany and brass Theodore Alexander Regency style occasional table adorned with lion masks. 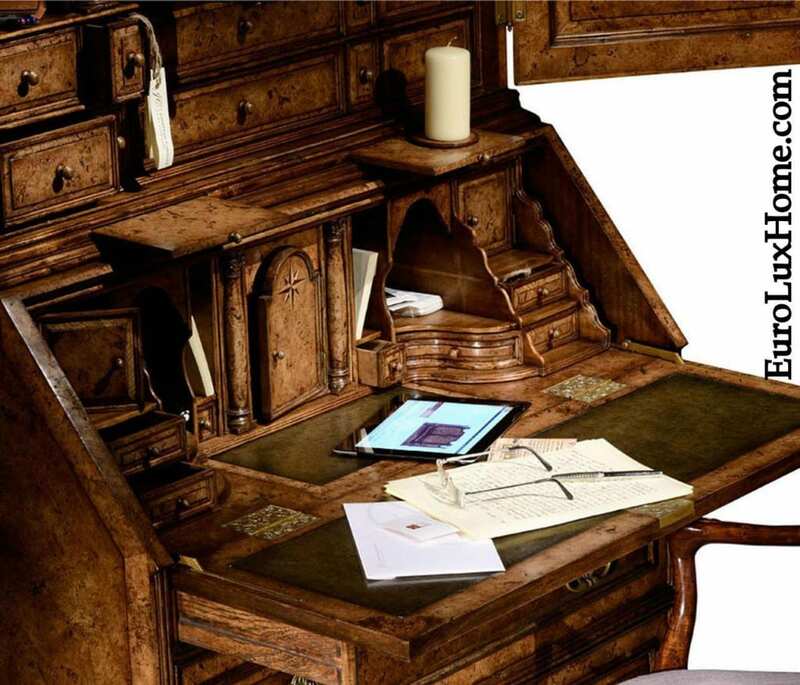 The Regency style is often reproduced today by contemporary furniture makers with wonderful attention to detail. 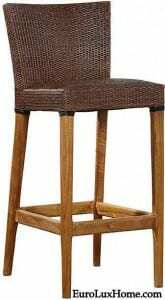 They look like original furniture of the period, but they are often scaled down in size to suit the size of today’s homes. 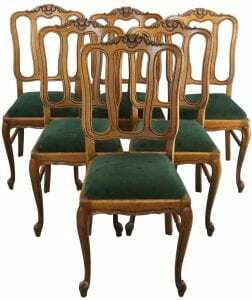 Check out all our new Regency style furniture and if you have an interior design scheme in this style, we’d love to see photos! 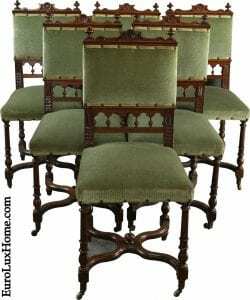 This entry was posted in Learn History & Styles and tagged antique inspired furniture, interior design, Jonathan Charles, Regency style, THeodore, Traditional English furniture on September 28, 2017 by admin. 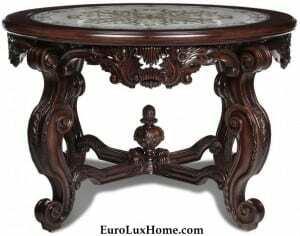 We have added more églomisé glass furniture and decor to our online EuroLuxHome.com gallery recently. This is a very special technique that takes a lot of expertise for craftsmen and women to achieve. The results are breathtakingly beautiful! The verre églomisé technique sometimes gives an aged or antiqued look to glass or a mirror, and sometimes it gives a very pretty and decorative effect. 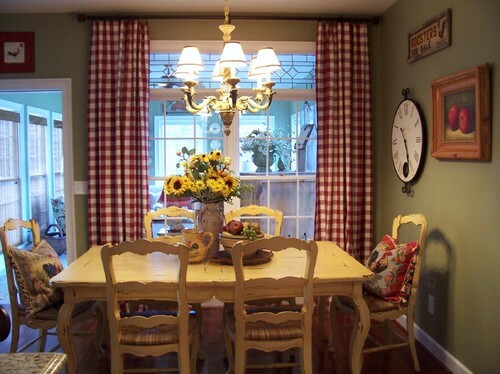 Verre églomisé is a French phrase, and the term means that the glass (verre in French) has a design or gilding applied on the rear of the glass to create a mirror finish. 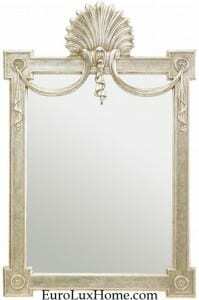 This antiqued gilt and eglomise wall mirror in our store is a good example. You can see how the églomisé effect applied to the back of the glass makes the wall mirror look naturally aged. 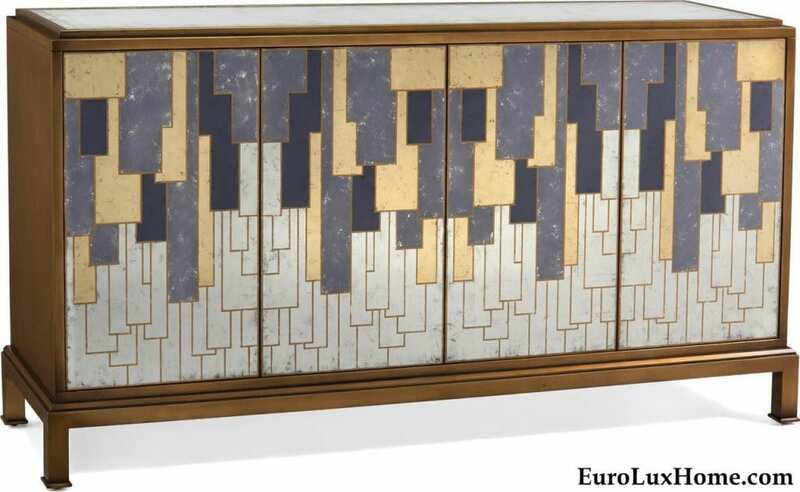 Another way of applying the églomisé technique is in a very decorative piece, like this superb new John-Richard églomisé credenza. 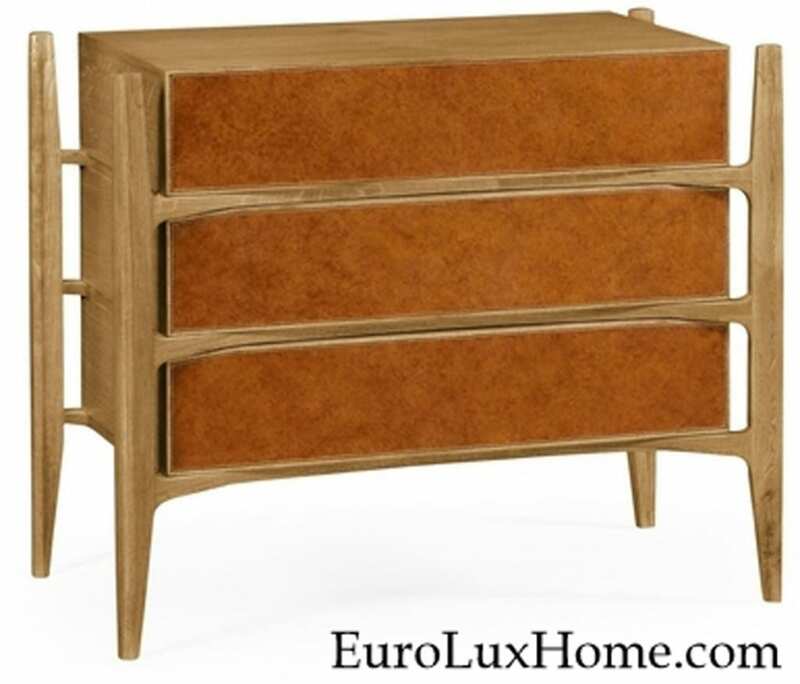 The John-Richard credenza is extraordinary with its antiqued gold and abstract pattern. 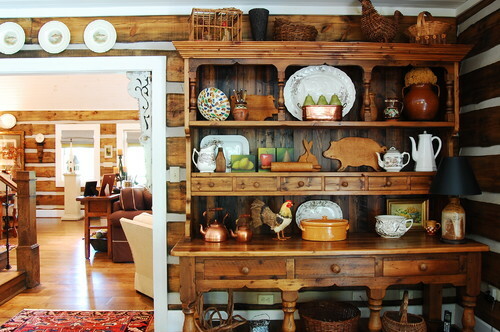 We reckon that this piece would work in so many interior design styles. 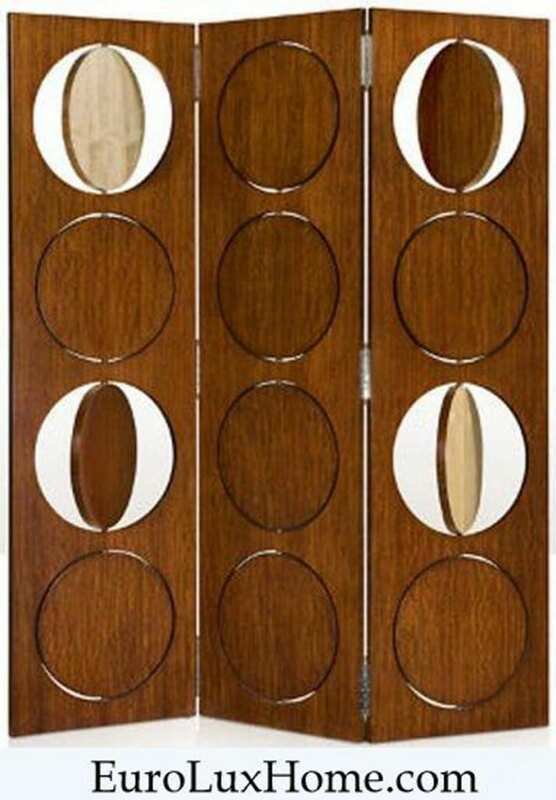 It is perfect for a glamorous Art Deco interior, and it will also pack a punch in a Mid-Century Modern, Modern or Contemporary home. The artisans at John-Richard have really outdone themselves. This is also a John-Richard piece. 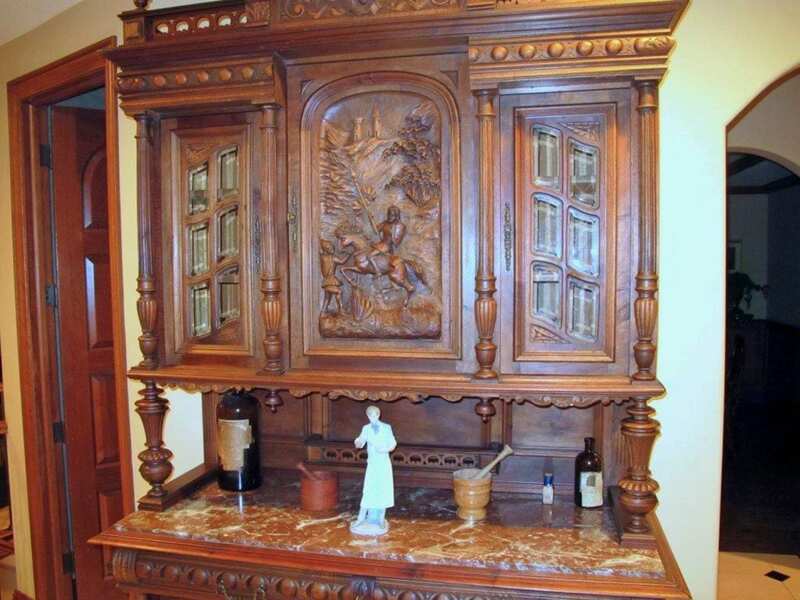 The John-Richard églomisé floor screen is less overtly ornate in the design of the glass than the credenza above, but it shows how an églomisé finish can turn a simple piece of glass into a fairyland! It also turns it semi-opaque, which is very useful if you are the person getting dressed behind the screen! 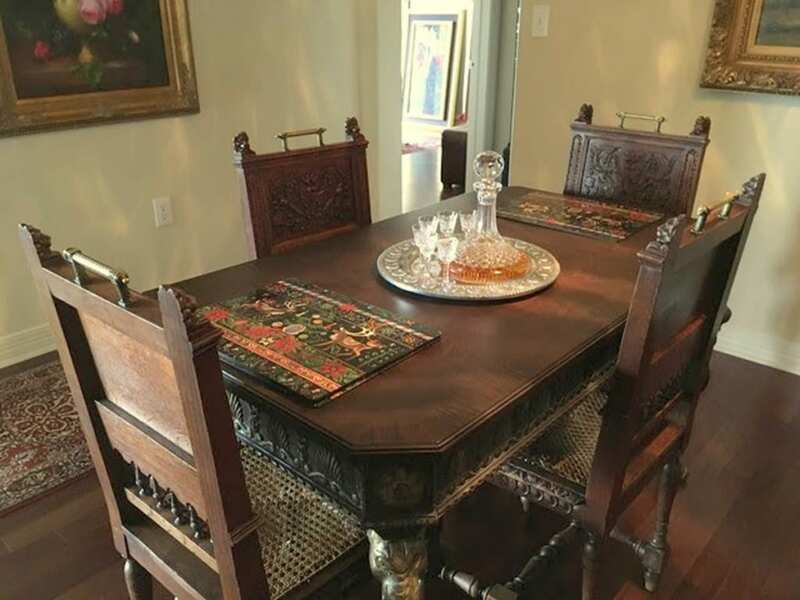 The gold leaf églomisé table top on this incredible Scarborough House center table almost plays second fiddle to the ornately hand-carved base. But not quite! The beautiful gold leaf églomisé top is the perfect complement to the hand-carved wood. A plain glass top here might look as if something was a little out of balance… the heavily carved table needs a top that can stand up to it! 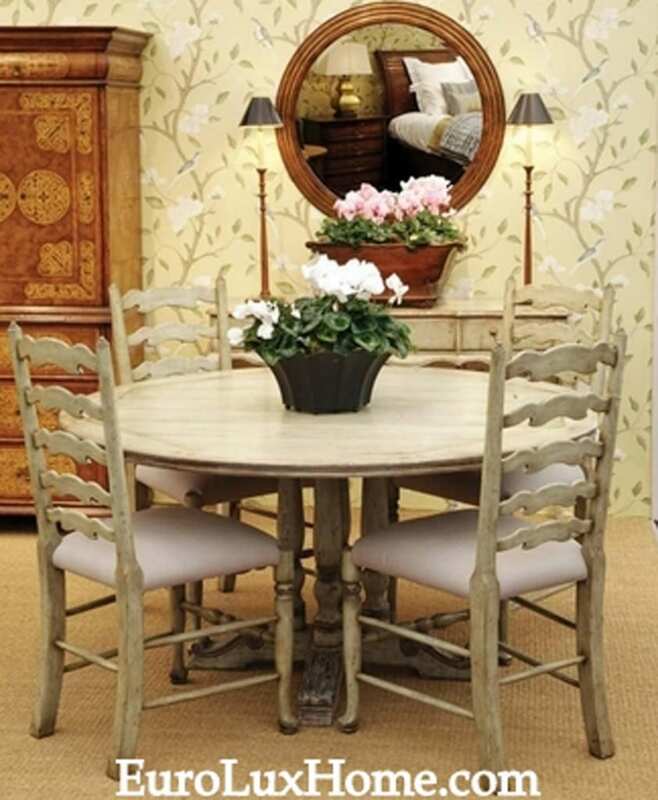 The decorative reverse painted gold leaf glass top does exactly that. 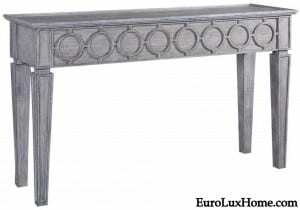 If you want to create a handsome focal point for your foyer, living room or great room, this table has you covered! 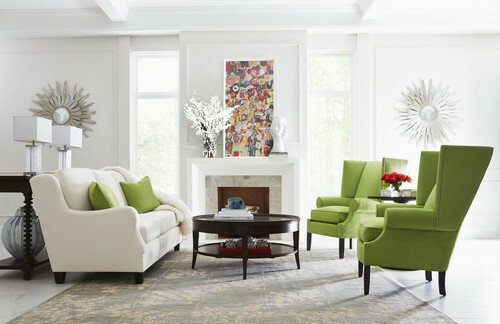 There is something quite magical about églomisé glass furniture and decor that simply takes my breath away. It has a delicate and slightly mysterious quality. I hope that you feel the same way after our little tour! 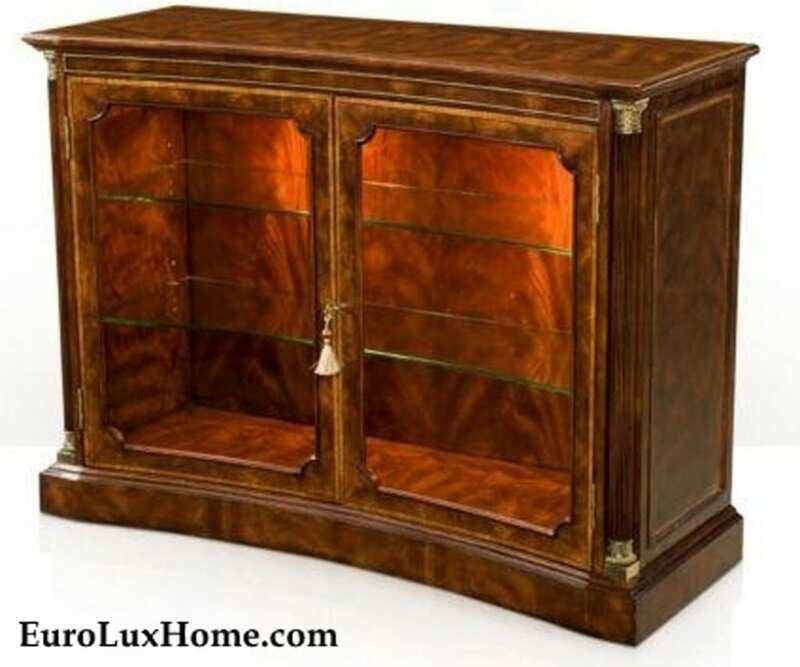 To see all the églomisé glass furniture and decor on our website, just click the link and extend your tour of wonderland. 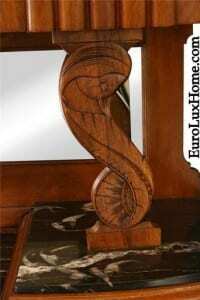 This entry was posted in Learn History & Styles and tagged antique inspired furniture, creative home decorating, Eglomise glass, expert craftsmanship, home decor, mirror, mirrored furniture on May 16, 2017 by admin. 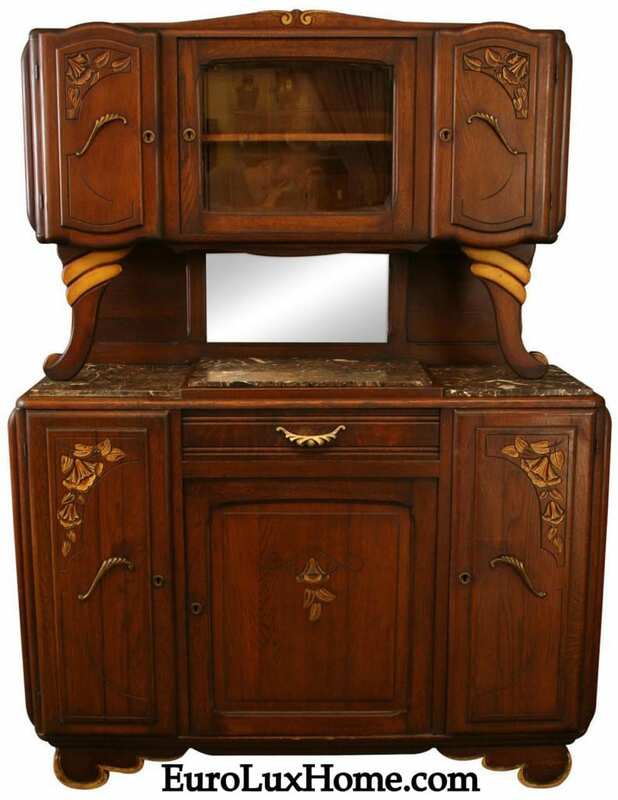 A while ago I wrote about how to identify Art Deco furniture and decorative items in my post: What is the Art Deco Style of Antiques? 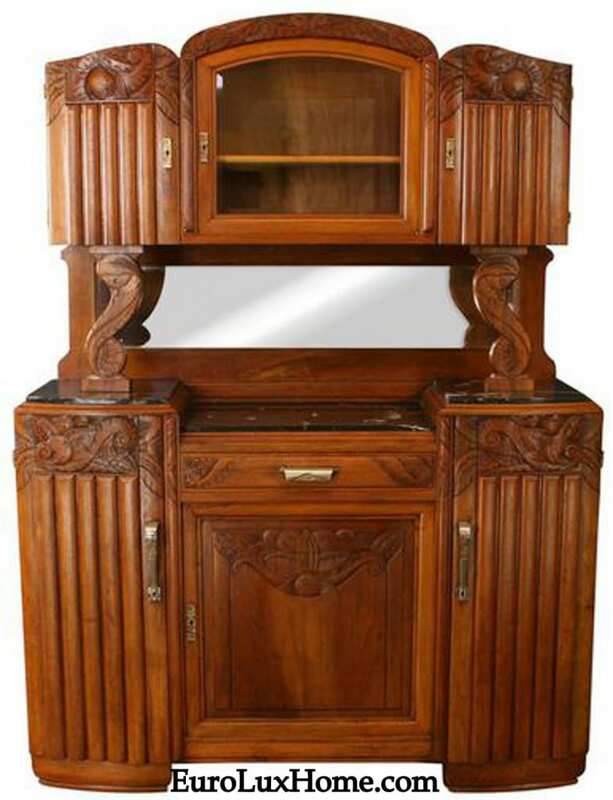 We recently had a container shipped from France with some beautiful antique Art Deco buffets and they are such fine examples of Art Deco, I’m using those pieces to show you more details of the style. As a reminder, the Art Deco style was popular in the 1920s and 1930s, reflecting the modern thinking of the Jazz Age and a new taste for sleek and streamlined furniture and architecture. The hotels of Miami’s South Beach and Manhattan’s iconic Chrysler Building and the Empire State Building are great examples of Art Deco architecture. 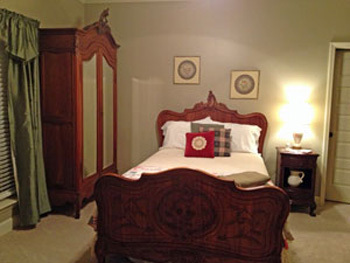 Applied decoration is also important to the Art Deco look, including stylized floral designs, sunbursts, and geometrics. 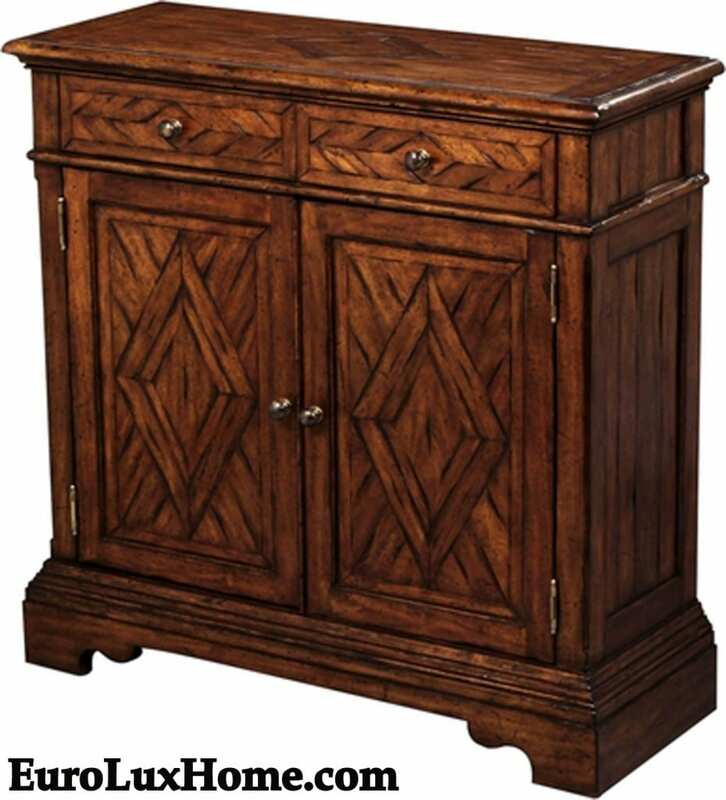 This 1920 buffet (item 18-25) from our recent shipment creates a striking architectural silhouette with the curved posts supporting the upper hutch. 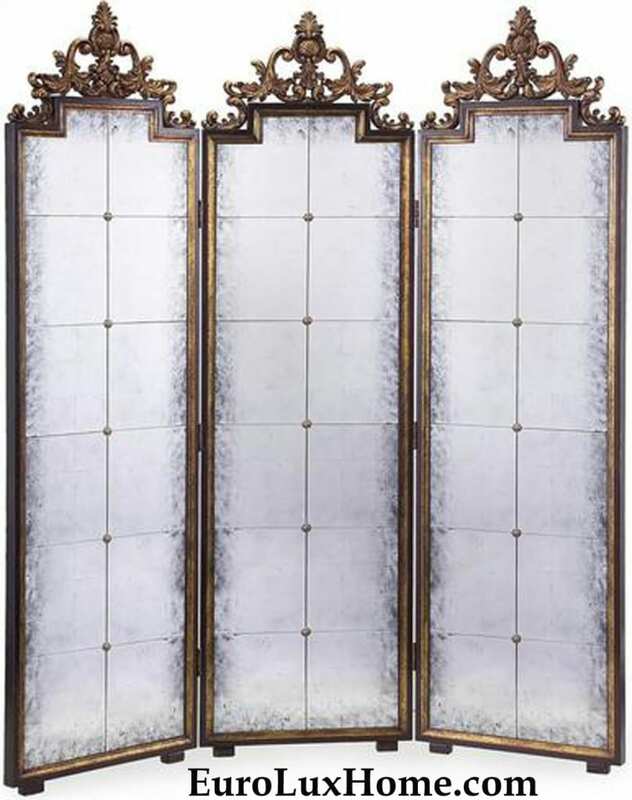 Elegant floral carvings across the doors add a decorative accent, as do the dramatic metal handles. It is simply impossible to ignore the attention-grabbing allure of an authentic Art Deco buffet. 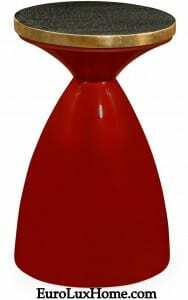 Although the style is streamlined, it is not shy! 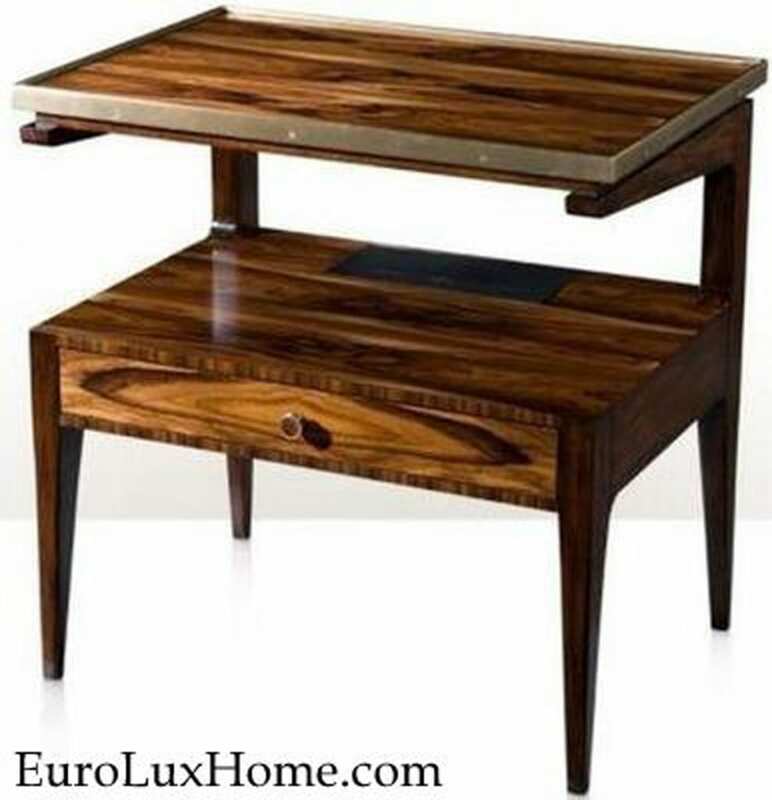 Part of the sleek appeal of Art Deco furniture lies in the use of glossy and shiny materials, including glass, mirror, lacquered finishes and metals. That reflective edge creates much of the glamor we associate with Art Deco. It always looks ready for a party! 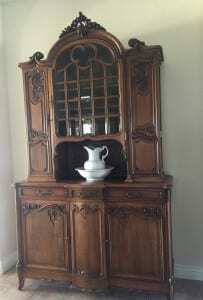 This walnut buffet dating to 1920 (item 18-38) has plenty of gloss in the mirror-backed upper hutch with a glass door. The mirror panel in the center of the buffet behind the posts reflects light too, above the impressive red/black/grey marble counter. Shine up your chrome cocktail shaker and dress up in your finest Roaring Twenties outfit! Marble had been used in architecture since ancient times, of course, but when Art Deco furniture makers started using it, it added that opulence we expect of Art Deco. It is luxurious, but in a very modern way. 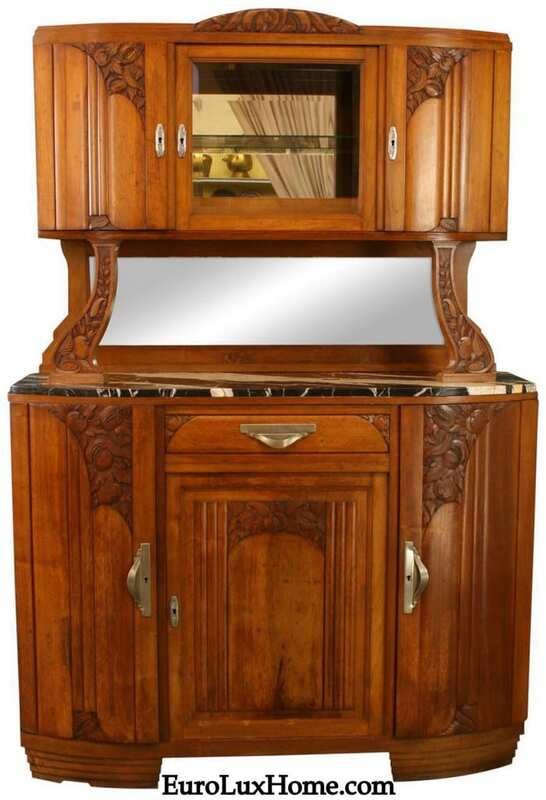 This French Art Deco buffet (item 18-35) boasts three slabs of black marble as counters in addition to the mirrored back and glass-front cabinet. 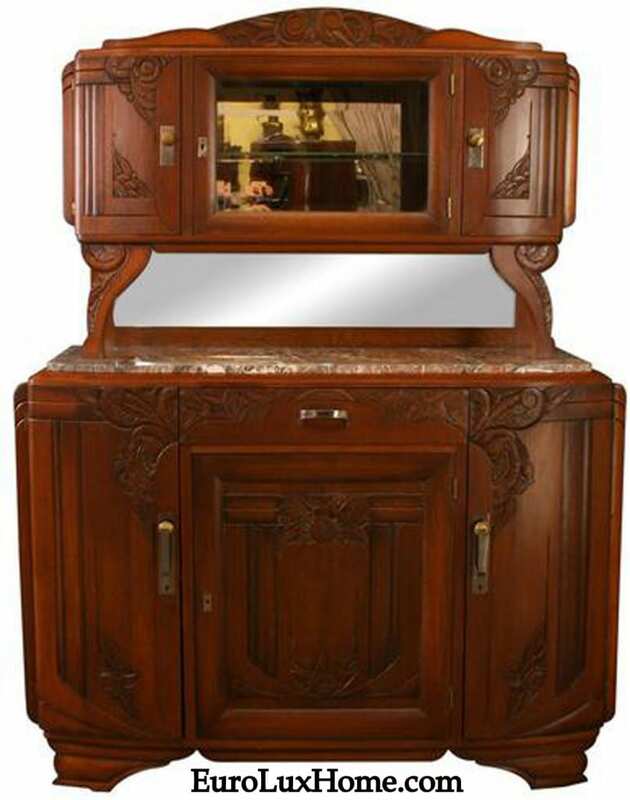 By now, you’ll recognize that the bold linear design on the cabinet front, topped by carved exotic foliage, is typical of the Art Deco style. Here’s a close-up of the black marble, so you can see how attractive the pattern is against the curving carved posts. 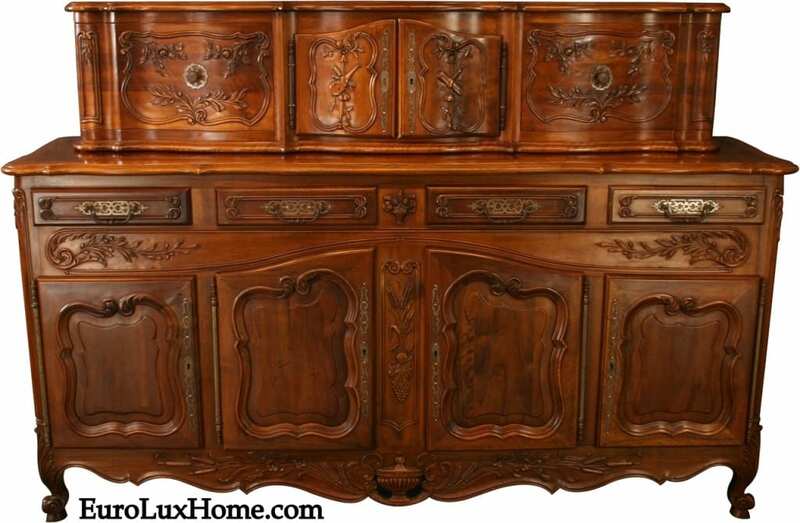 To see more of the exceptional design details from this era, take a look at all our antique Art Deco Buffets. It’s is appropriate that they are French buffets because Art Deco was named after the Exposition Internationale des Arts Decoratifs held in Paris in 1925. 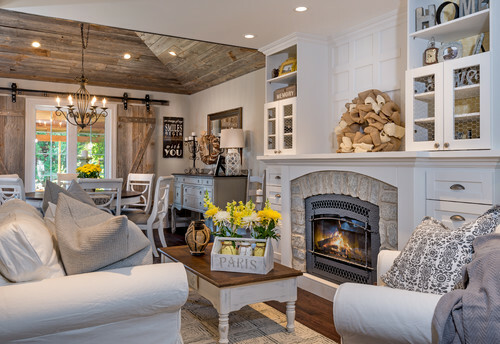 This event showcased many of the exciting new designs. 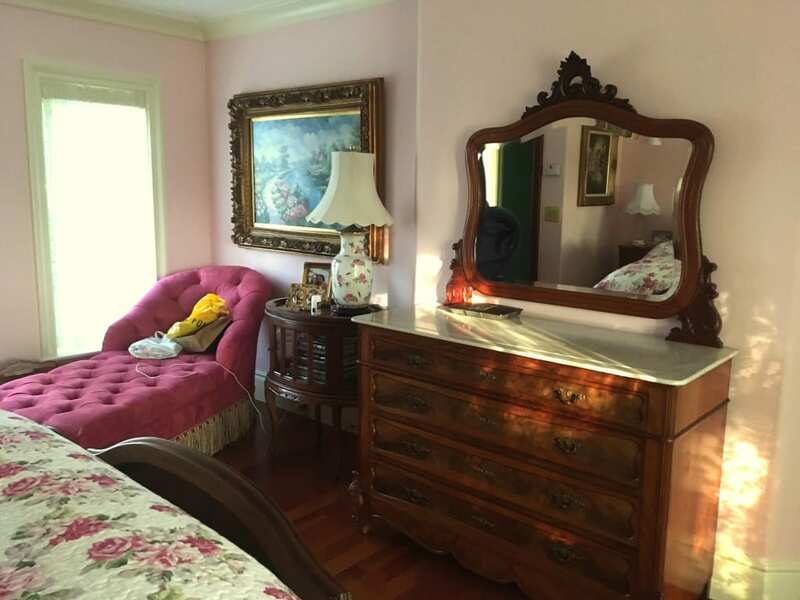 You might also enjoy my post about our customer Betty in Florida who bought an Art Deco buffet for her unusual vintage home! 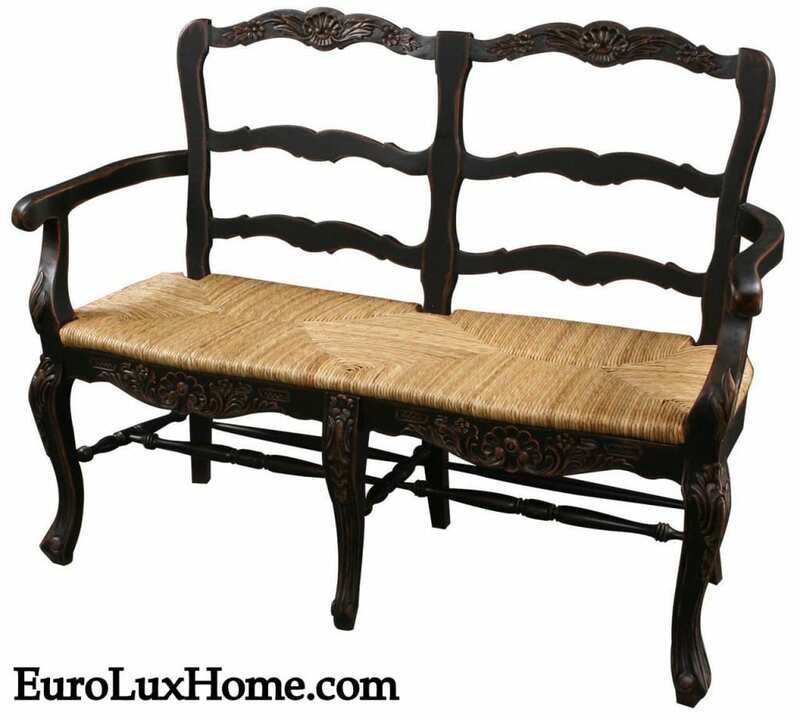 This entry was posted in Antique Furniture, Learn History & Styles and tagged 1920s Design, 1930s Design, Antique Art Deco Furniture, antique french buffet, antique French furniture, Art Deco, Art Deco Antiques, Art Deco Buffet, marble on June 8, 2016 by admin.